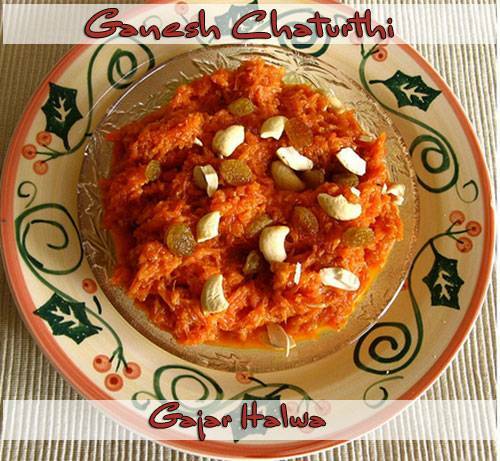 Carrot known as gajjar in Hindi is a delicious halwa recipe that i have tasted.Carrot halva involves thickening the milk and adding the grated carrot to the milk recipe. Carrot halva is very easy to prepare and the sweet is absolutely delicious. Dry roast the cashew nuts and khus khus made in small pan. Once they slightly brown, remove them from the stove. Chop the cashews. Set aside! Peel carrots. Shred carrots. Heat a wok on medium heat. Once hot, add ghee (clarified butter) or butter. Add shredded carrots and cook for about 8 to 10 minutes until the carrots cook down. Keep stirring to avoid burning. Add milk. Allow the milk to cook down for about 6 minutes, or until the milk reduces. Keep stirring to avoid burning. Cook it till milk reduces and alomst dry. Now add cardamom powder and sugar. Now keep stirring until all the milk evaporates.. should be a few minutes. Notice the milk is evaporated, add half of the dry roasted cashew nuts mava and khus khus.Transfer the Gajar Ka Halwa to a bowl and garnish with the remaining cashews.